For 32 years Bobbie has been deeply committed to exploring the territory of inquiry and creativity using the wisdom of the body. 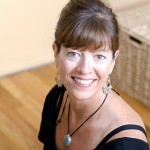 She owns and directs Soma Center, Resources for Embodied Living and is a ceremony officiant with Meaningful Ceremonies both located in Highland Park, NJ. As a yoga and somatic movement educator, Bobbie leads classes, workshops and explorative trainings rich in fluid expression, self discovery, writing, drawing and moving with living anatomy.